Should Your Business Outsource the Sales Appointment Setting? Understand the risks/reward and know the questions to ask any potential Sales Appointment Setting partner. In this short white paper, we share some examples of reasons not to outsource! White Paper: Should Your Business Outsource The Sales Appointment Setting, INCLUDED "15 Questions to Ask Before Selecting a Lead Generation Partner"
Use this insight to make better decisions about how to outsource the development of qualified sales meetings! Remember, the more prospects your sales people meet with, the more revenue they will close. Download your free copy today. Fill out the short form to the right and click Submit. 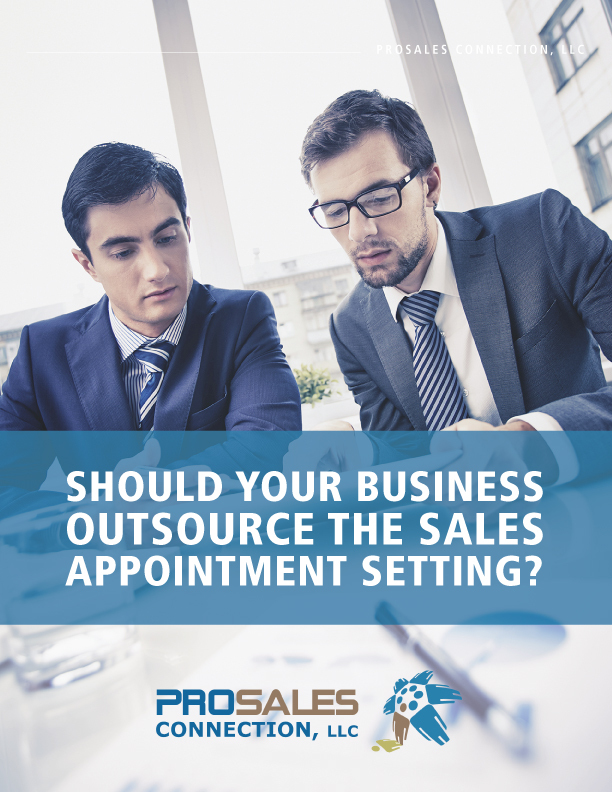 Download White Paper: Should Your Business Outsource the Sales Appointment Setting?